Here’s why you should start foil surfing! 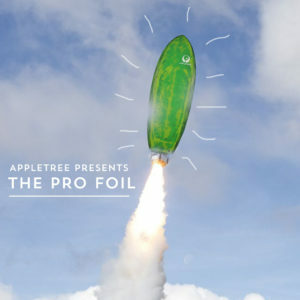 Whether you surf or kitesurf, we’re pretty sure you’re gonna love foil surfing. We, as Dutch surfers, don’t have the privilege to surf proper waves everyday. We have weeks of flatness and also there are periods without wind. For us, the best thing about foil surfing is that you don’t need epic waves or strong winds! What?! Yes. The foil lifts you out of the water and reduces all drag. You just need a small wave to give you a little push and the foil will carry you much longer than a normal surfboard would. In bigger surf and especially going down wind the foil rides can be of epic proportions. We know it might look slow, because of the lack of spray and wild arm movements. But actually the speed you can reach, even on the smallest, weakest waves, is amazing! Fly around close-out sections and even use the speed to pump to the next wave or to the next breaking section! A foilboard can fly over big chops and feels incredibly smooth. Besides that, unlike kite surfing, foiling doesn’t make any sound. Imagine, no bumps, no chop, no noise, only you and the water. And we can tell you, that feeling is pretty amazing! Everybody asks this first, is it hard? No! At least, not when you already can surf. But then the learning curve is pretty fast. Just a few sessions in you can already fly frontside and backside and most can master longer waves pretty quick as well. Since we tried foil surfing about two years ago, we were stoked right away and started experimenting and testing different shapes of foil boards. And with success! We see the hype is growing quick and we are shipping the boards all over the world already! By making the boards in our signature carbon construction that we als use for the kiteboards, they are the strongest and lightest available! Super stiff, for ultimate response, but still light, so you will have the best control over the foil. Our latest creation is the 4’6” surf pro-foil. The strong bevel lines in the bottom, tapered nose and a decent amount of volume makes it easy to catch waves. But the small profile make it more radical in steeper waves and fast turns. Wanna have close look at the board? Watch the video below! Our entry level surf foil 5’0’’ offers a bit more volume, and a bigger more stable platform to learn and progress quickly. And don’t worry about ever outgrowing a board like this, experienced riders also love the ease with which it catches waves and the flow it has. Check out our different shapes here! Need help choosing the right board and shape? Don’t hesitate to leave us a message! We tried and tested a lot of different models, so we’re always able to give you the best advice. And did we already mention that we ship worldwide? Sometimes even for free! Go to the shipping page for more info. Are you ready to join the hype? Hit us up and tell us where and when you want your gear!